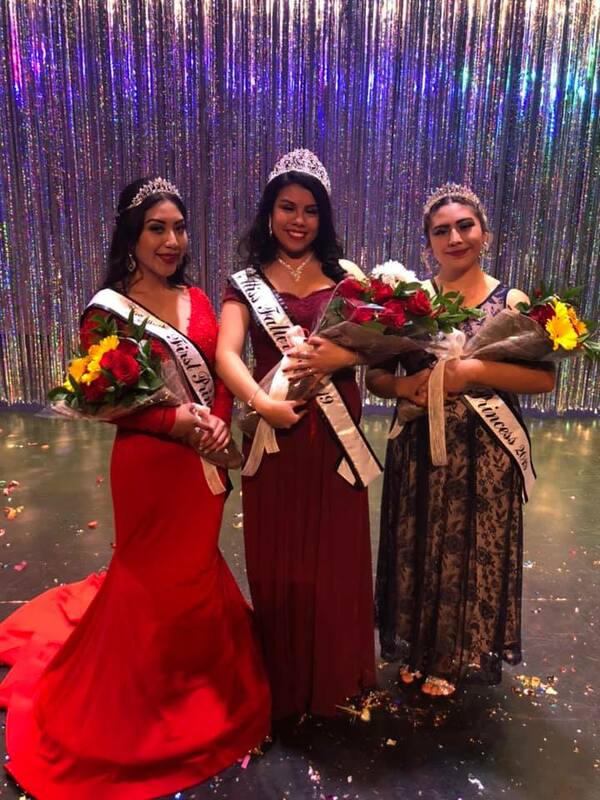 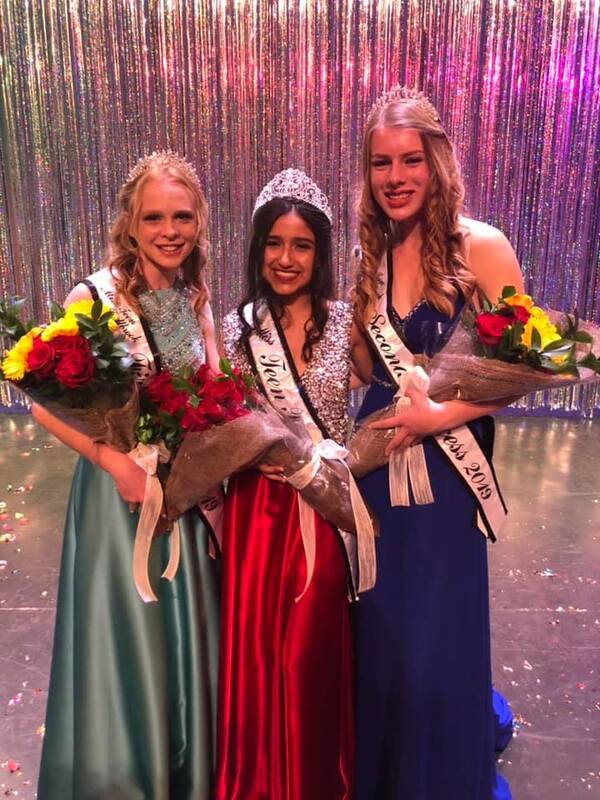 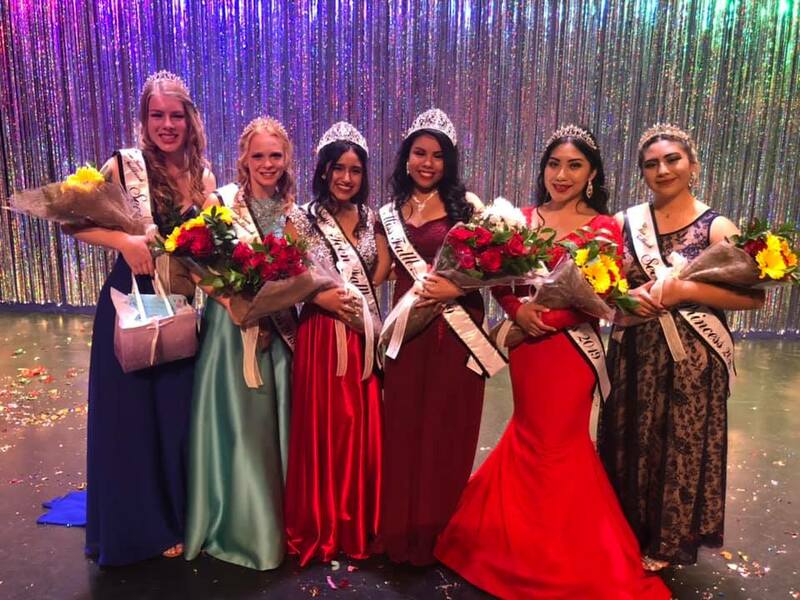 The 2019 Miss Fallbrook and her Court! 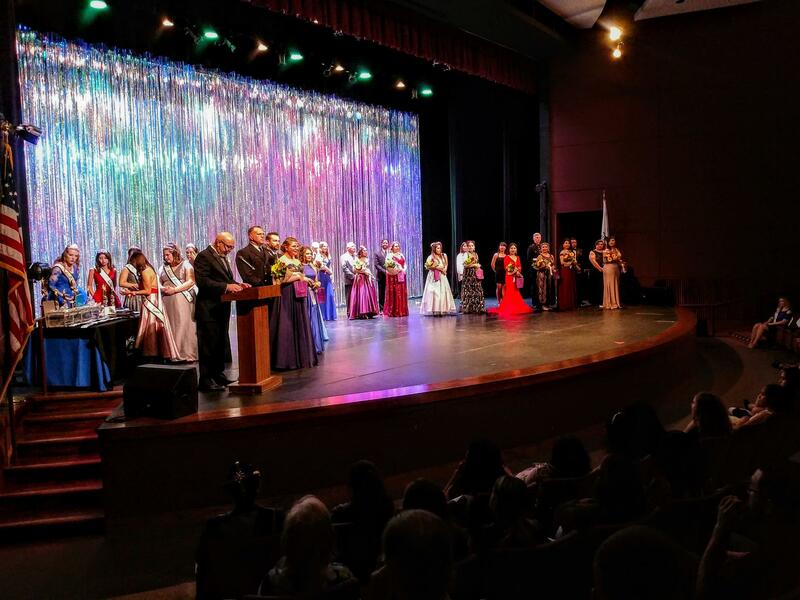 The 2019 Miss Teen Fallbrook and her Court! 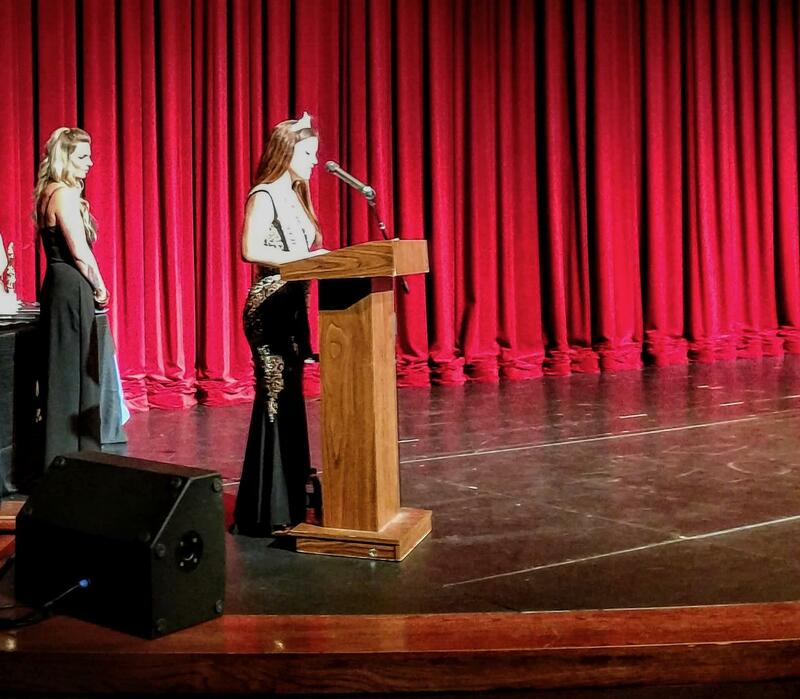 2018 Miss Fallbrook Samantha Burke gives her farewell speech. 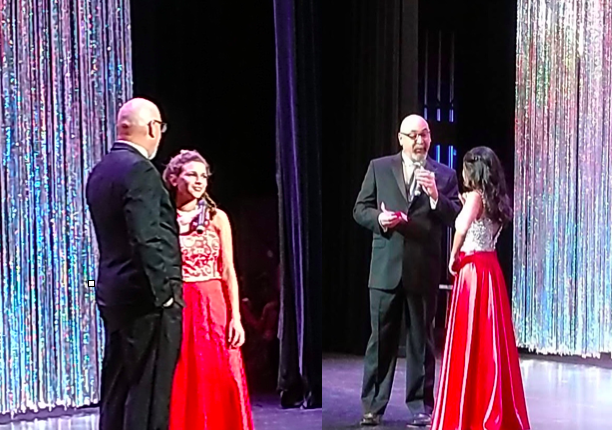 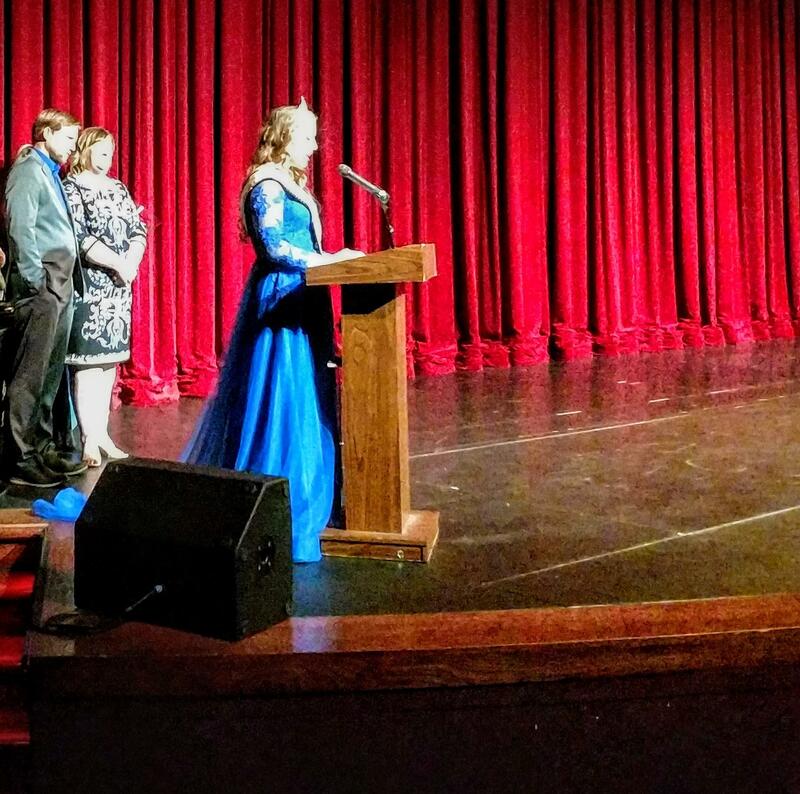 2018 Miss Teen Fallbrook,Jayden Dominique gives her farewell speech. 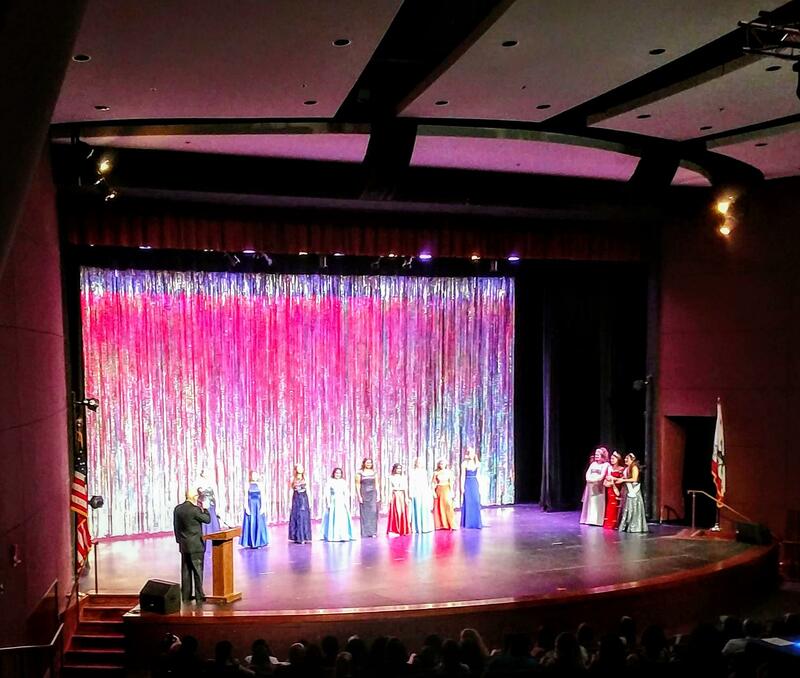 All the Miss Fallbrook/Teen Scholarship participants take the stage after the Impromptu Event. 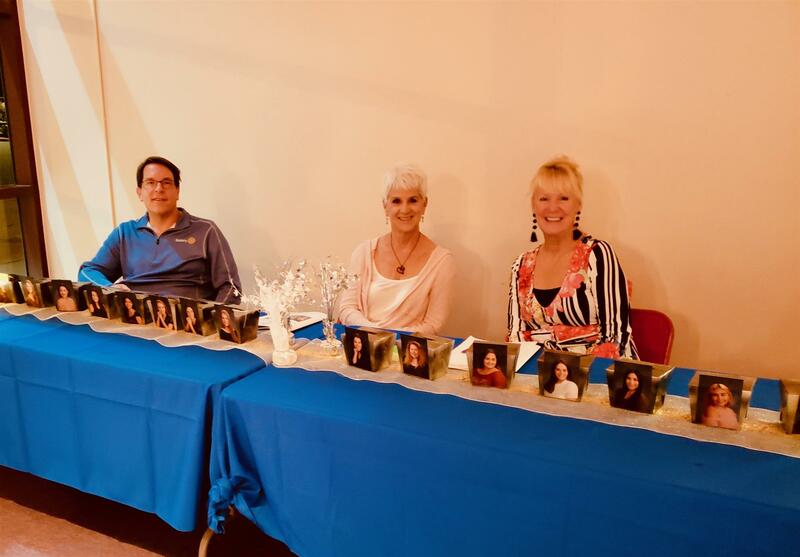 Rotarian Steve Abbott with Volunteers Helen Archibald and Melinda Stone sit at the Shining Star voting table. 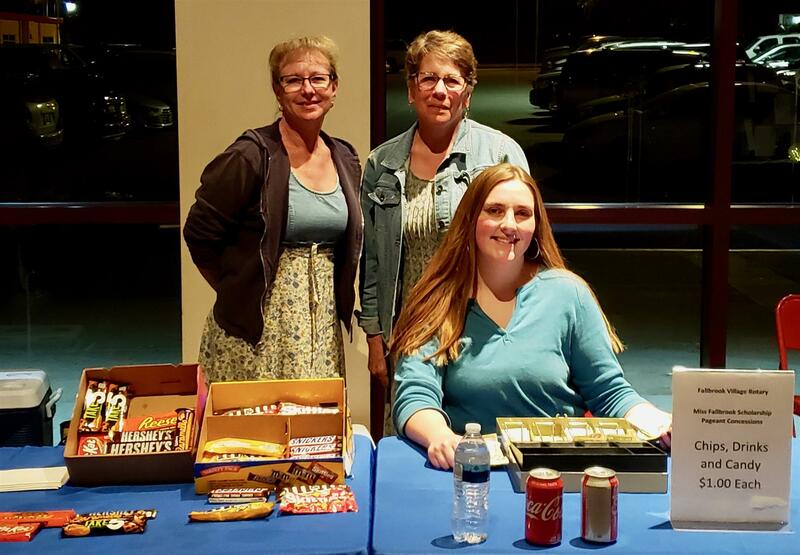 Volunteers Wendy Huge and Martha Stone (standing) manage the concessions table with Bonsall High School volunteer. 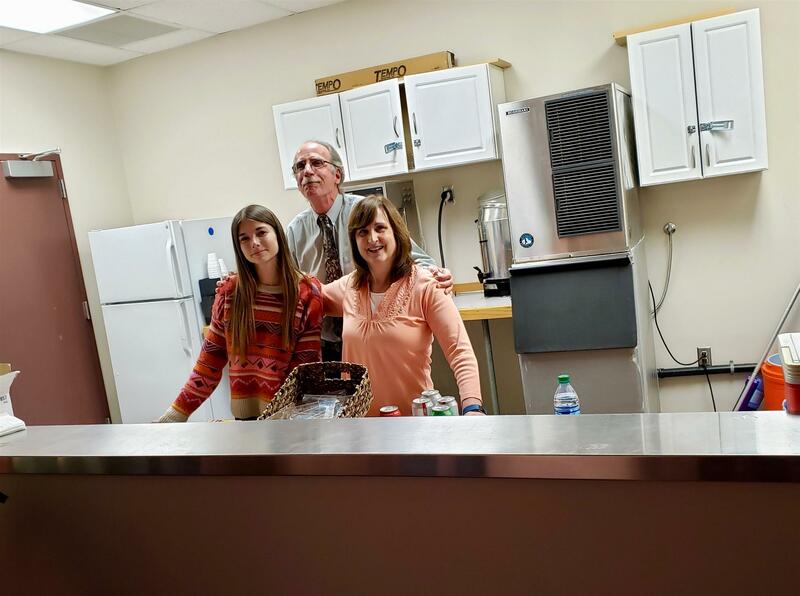 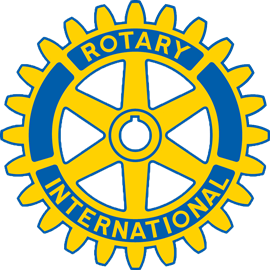 Rotarian Gordon Stone, Volunteer Jen Weeks and Bonsall High School volunteer handle the concessions area. 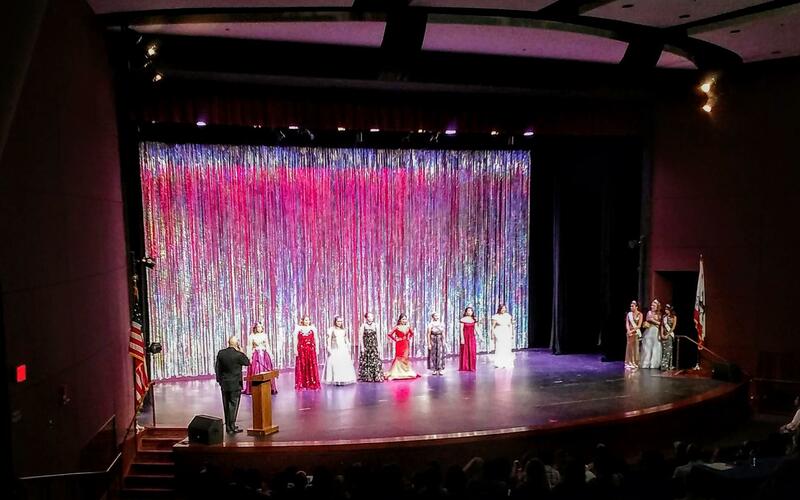 All participants are onstage for the announcement of the winners.